← A four year old painting with light. Up to my ankles in summer projects! I almost quite literally am up to my ankles in rugs, at least. They are all fun though and I cannot wait until they are finished. There is the rainbow rug. 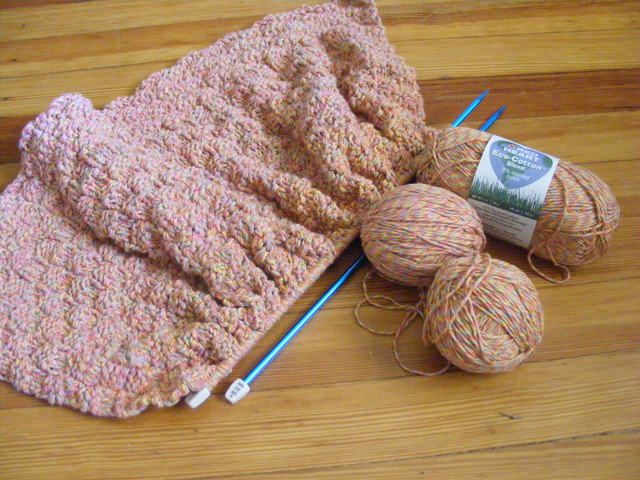 Easy just knit every row, using super bulky yarn. This is my first project using super bulky, I love it! The pattern I found off of the Coats and Clark website. I don’t even remember how I stumbled upon it. 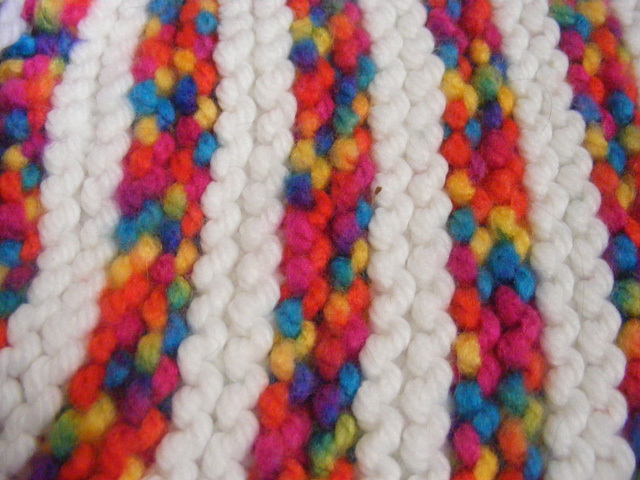 HERE is the link to the pattern. The yarn mentioned in the pattern is no longer being made, so instead, after much research. 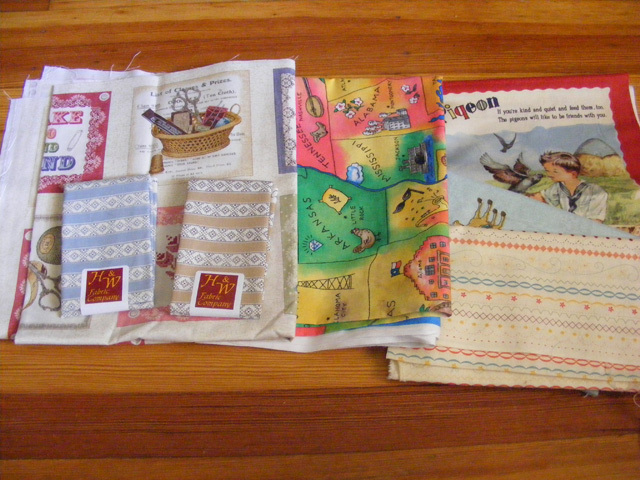 I decided to use Lion Brand’s Homespun for the white and Lion Brand’s Jiffy Thick & Quick in the Rocky Mountain color. I loved the rainbow mix and hunted to find the right yarn. Homespun is amazing, though a little slippery, also very cheap around 4.99 a skein. Jiffy Thick & Quick is more wooly, with some loose fluff or halo fuzz, and is pricier around 8.49 for a skein. (All the serious knitters are chuckling at my use of the word pricey). Next up is this slightly painful and tedious rug, that I will, for multiple reasons be so happy when I am finished. 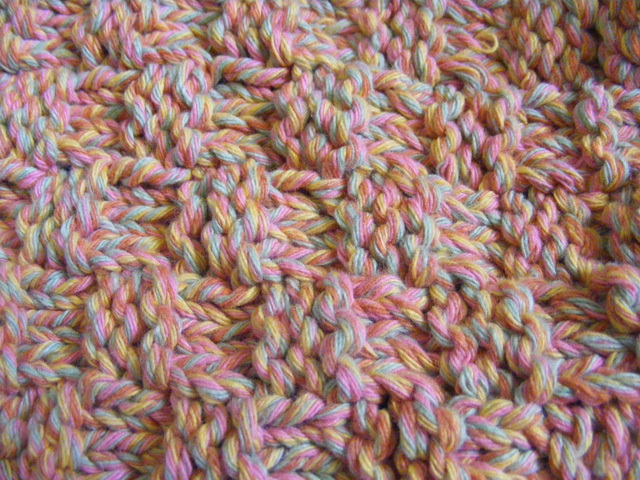 Using Red Heart Recycled Cotton blend yarn I am using a simple pattern I found on Michaels.com. 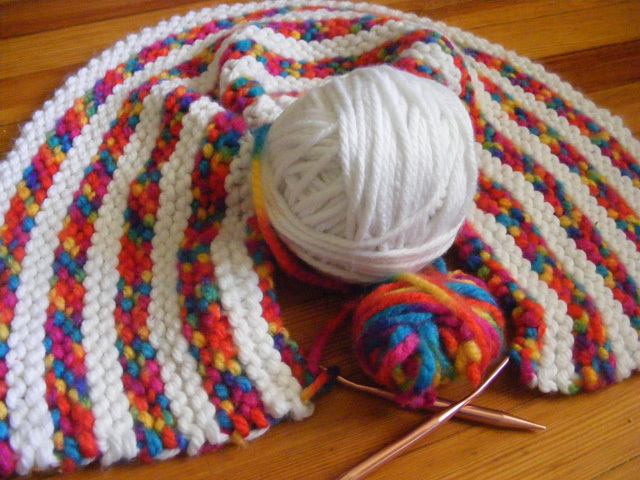 The pattern is an easy knit 3, purl 3, in sets of 3. A nice full checker stitch set. It is the weight of the rug and the fact that it seems to take forever to do one set, that is making this tedious. I will finish this one soon though. We need a rug in the kitchen, desperately. A very different set of rugs with a complete dichotomy of yarns. This last rug is easy, just time-consuming. 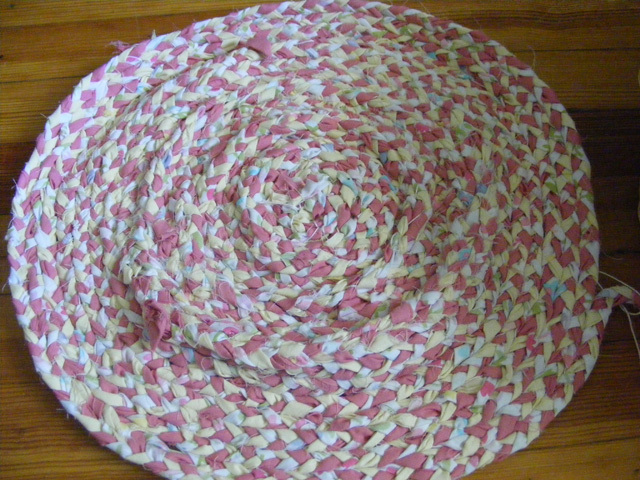 A braided and woven rug to match the tee-pee my mom and I made for the snug. It will need to be much bigger then it is. I have not put in as much effort as I want so far. Those are the rugs, now for the rest of the summer projects. Did I mention also that we are going to make most of our back to school clothes this year. Which means my summer projects need to be done by the middle of July so that we have enough time to gather materials and make acceptable fitting clothes before September! It is going to be a fun couple of weeks!! Also we aren’t homeschooling, obviously. Thank goodness! That doesn’t mean we (I) will stop supplemental schooling, in my over exaggerated way. Now for the rest of the summer projects. Wall hangings. Lots of wall hangings. We have one for me on the left, a map of the united states, and a western one for the snug’s room. 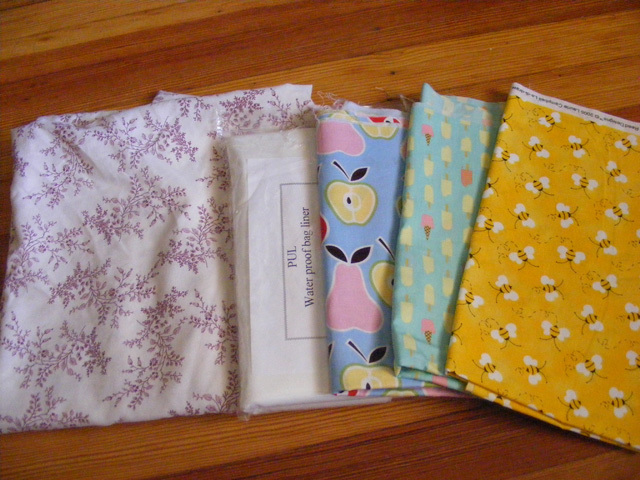 I have backing fabric for none of these. Fantastic! 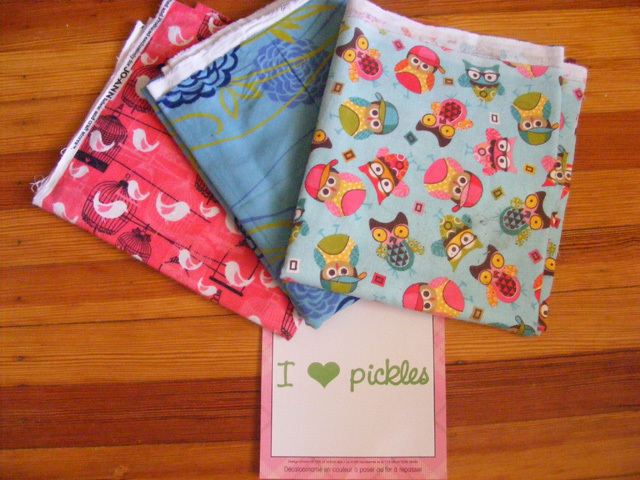 Next up, napkins that will be made from a pillowcase found at the goodwill and lots and lots of reusable snack/sandwich bags. FINALLY!!! Then we have apparel and I am very happy to say two out of the four items shown have been made and completed!!!! The top middle gray fabric has been made into a t-shirt. I took a class and learned how to draft a t-shirt. 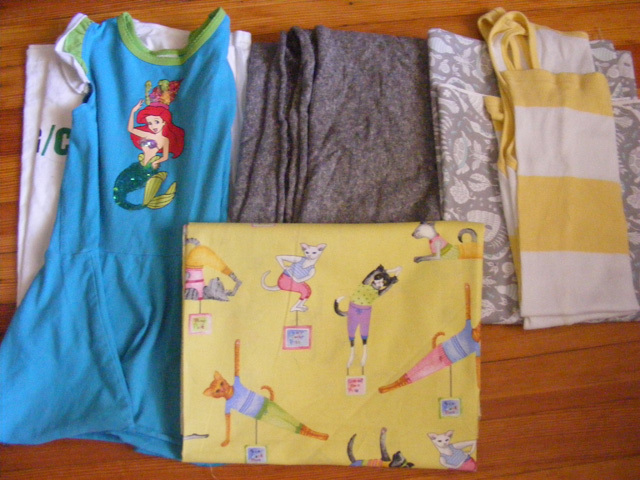 Also, the cat yoga fabric, was made into little knickers today! Adorable! The mermaid dress needs modification and lengthening, long legs Magee won’t stop growing. 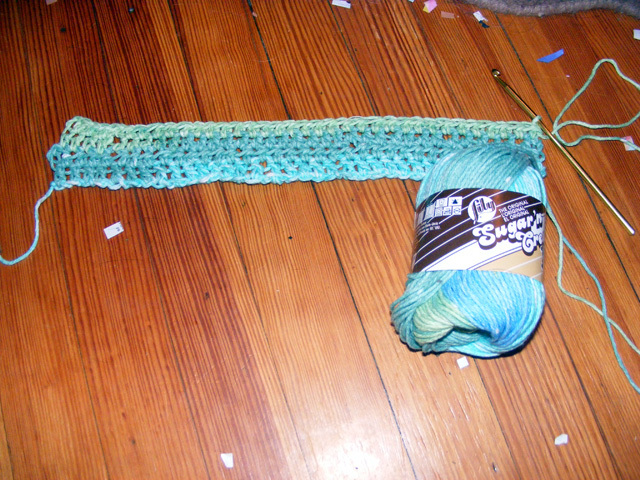 The final item on the left is going to be turned into a tank top dress. Oh and there are also baby gifts to be made!!! SO cute!! I found it on pinterest. 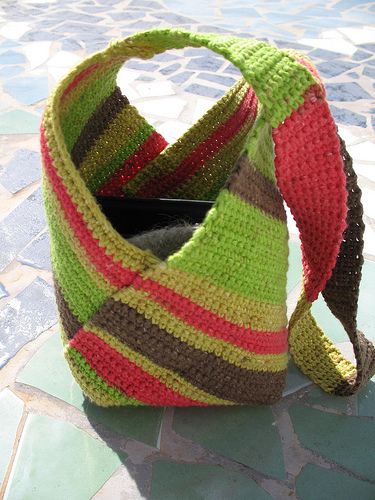 The bag and pattern are from Artemis Adornments, it is called the Masa Bag. The pattern calls for a DK size yarn and is rather small. I am using sugar and cream with an appropriate size needle and sizing the bag differently. That’s it. All the projects. Two weeks. Really? Thankfully everything is now washed and ironed. Hopefully I will find the time to make this a wonderful reality! This entry was posted in This Eco House and tagged clothes, cotton bag, cotton rug, crochet, knitting, modifying, reusable snack bags, rugs, summer crafts, wool rug. Bookmark the permalink. I love that rainbow rug! That will look fantastic when you have finished it! I do too!!! It makes me so happy every time I work on it! Though (just between you, me, the internets, and whoever else I have told) I have joked that it looks like unicorn toilet paper! My daughter and I often share these kinds of jokes, it might become problematic when she starts school. Haha I hadn’t thought of that :’) it will be a good joke to share when anyone comments on your rug!